ASCOT, UK: Synthetic diamond business Element Six, part of De Beers, has selected Formula PR to serve as its first AOR for its technologies division, following an RFP. Four US-based agencies competed in the review, said Adrian Wilson, head of the technologies division at Element Six. He declined to name the other firms. Element Six is made up of two divisions: technologies and abrasives. 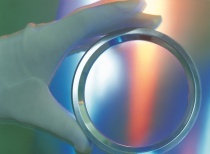 Technologies focuses on the non-abrasive industrial use of synthetic diamonds, such as optics, power transmission, and water treatment. The abrasives business manufactures synthetic diamonds to be used in cutting, grinding, drilling, shearing, and polishing in sectors such as automotive, aerospace, oil and gas drilling, and more. Formula is tasked with raising brand awareness for Element Six's technologies group since the business has mainly worked behind the scenes, said Wilson. The agency will focus on North America next year, he added, but any publicity generated could be leveraged in other parts of the world. With a team of six staffers on the account, the agency's San Diego business and technology division will promote the benefits of synthetic diamonds for industrial uses, said Michael Olguin, Formula president. He added that the firm will engage business and trade media, targeting technology developers including application engineers, material scientists, physicists, design engineers. Formula will leverage the De Beers name, Olguin added, while building Element Six as an independent brand. Element Six wants to increase recognition in four segments: semi-conductors and thermal management, optical applications, environmental sensing, and water treatment, said Wilson. In the semi-conductor space, Formula works with Belgium-based Imec, a nano-electronics and nano-technology research company, and Cymer, a San Diego-based supplier of excimer light sources that image semiconductor circuits. Social media is another major focus area for Formula, since Element Six does not have a presence on Facebook or Twitter. “It's a nice evolution for a b-to-b brand to be doing social media, so it's a big part of the program,” explained Olguin. This article was updated on December 13 to better represent Element Six's target demographic of technology developers rather than geo-scientists.